The Sauber F1 Team was busy testing the new aero package on the Sauber C30-Ferrari during the first two free practice sessions of the Japanese Grand Prix. The car’s update includes a new front wing, two new rear wings, new brake ducts in the front and modified brake ducts in the rear, as well as a modified floor and new turning vanes. For the race weekend in Suzuka the Sauber F1 Team has additional support from Japanese partners. Kamui Kobayashi’s personal sponsor, the Kinshukai Group, a large group of hospitals in Japan, has placed its logos on the side of the headrest as well as on the top of the drivers’ helmets. Also last year the Kinshukai Group extended its involvement for this home race. Also for “Scalp D” its appearance is a return to the Sauber F1 Team. 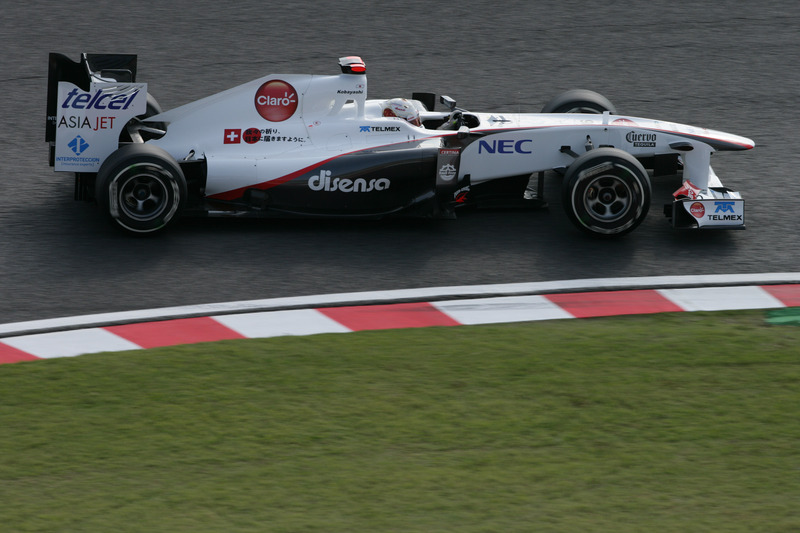 The Japanese name of the high-tech hair care programme Scalp D was on the car during the entire 2010 season, and for this year’s Japanese Grand Prix it is placed on the drivers’ visors.